The scheme was meant to empower rural and poor women, but a large majority of the 640 identified districts have not even established a functional centre. All political parties want half the population to vote exclusively for them, but when it comes to women’s rights, they are all the same in character and attitude. Under public pressure, they may sometimes make announcements or take some additional steps. But they display such enormous laxity in the implementation of those schemes, that they become almost fraudulent. For instance, the Narendra Modi government introduced a new scheme for women empowerment in November 2017 called the Mahila Shakti Kendra. Under the scheme, district level centres for women (DLCW) have to cover 640 districts across the country. They will work as links at the village, block and state-level to facilitate access to women-centred schemes. They were also meant to strengthen the Beti Bachao Beti Padhao scheme at the district-level. For the scheme to be implemented successfully, community participation was sought to be increased through college student volunteers. During the first phase (2017-18), 220 districts were to be covered while another 220 DLCWs were to be set up by 2018-19. 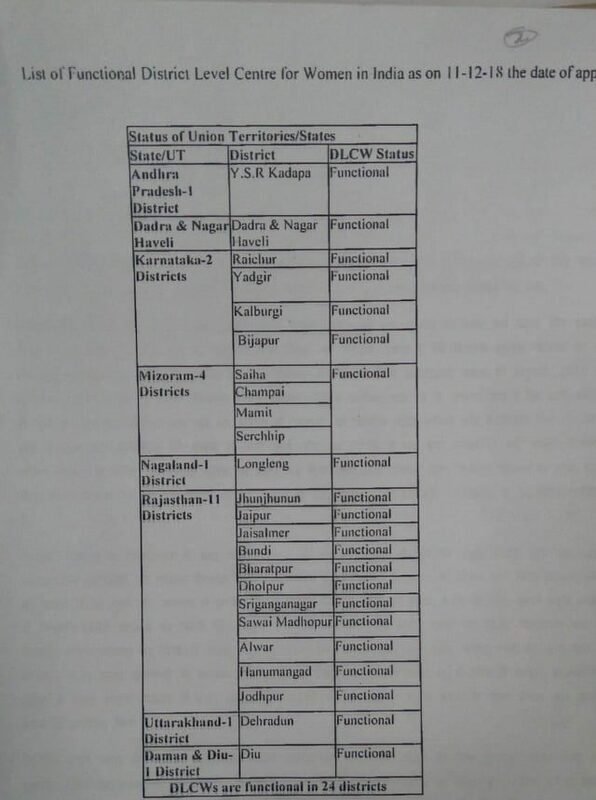 The remaining 200 districts are to be covered by 2019-20. Funding is to be divided between the Centre and the state in a 60:40 ratio. For the northeastern states and states in the special category, the ratio will be 90:10. The Centre will allocate 100% of the funding for Union Territories. The focus on establishing the DLCWs was in the 115 most backward districts. Out of them, 50 districts were to be covered under this scheme in 2017-18 and the remaining 65 districts in 2018-19. During 2017-18, the government of India released Rs 61.40 crore to the 36 states and union territories and Rs 52.67 crore in 2018-19. A glance at the amount of money spent, the number of DLCWs set up and the number of women who benefitted from them shows that the scheme was not properly implemented. So far only 22 centres have been made under Mahila Shakti Kendra. According to information obtained via an RTI response, only 24 districts have functional DLCWs so far, which include the five most backward districts of India. Of the most backward districts in India, ten are situated in Bihar, which received Rs 12.8 crore under the scheme. But not a single DLCW has been set up in the state yet. Similarly, 19 districts of Jharkhand are included in the list of the 115 most backward districts. Jharkhand received Rs 18.65 crore under the scheme, but no DLCW has been made operational in the state so far. Meanwhile, Chhattisgarh received an amount of Rs 9.86 crore, but, here too, not a single centre has been set up. The RTI reply also confirms that no state has reported even a single functional DLCW. This raises questions on the government’s commitment to the issue of women empowerment. The scheme was launched specifically to provide employment, empower and develop poor and rural women. But from the manner in which it is being implemented, it is unlikely that many poor and rural women will benefit. 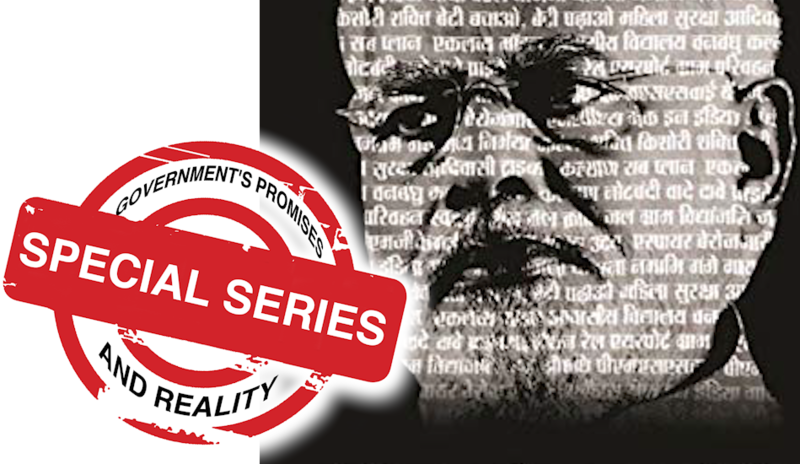 This article is an excerpt from the book Vada Faramoshi which evaluates the Modi government’s major schemes, published with special permission. Based on information received through RTIs, this book is written by Sanjoy Basu, Neeraj Kumar and Shashi Shekhar.